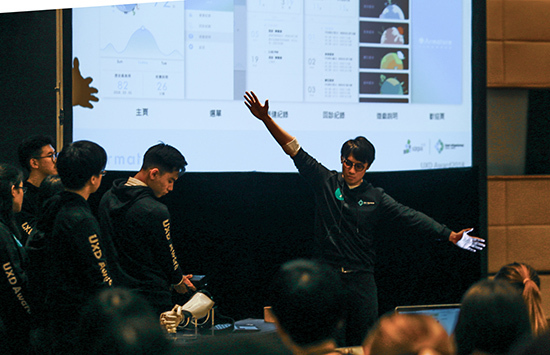 Department of Creative Product Design, Southern Taiwan University of Science and Technology, won a Silver Award and the Best Interactive Design Award in the 10th International Competition of User Experience Design Award. 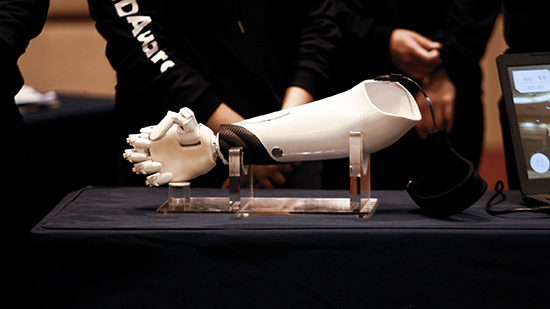 The work "Armature-AR Intelligent Prosthetic Limb for Rehabilitation” by Southern Taiwan University of Science and Technology is a customized prosthetic aid for patients with elbow amputation. The work can drive the palms through the muscle sensor, allowing patients to regain control of their daily needs and build confidence. In addition, it can also enhance the patient’s willingness to rehabilitate with the AR rehabilitation game designed by Armature, while it effectively alleviate the pain of the affected limb. When using a rehabilitation game at home, it is also possible to transfer the rehabilitation record to the mobile application at the same time. The rehabilitation engineer then uses the records in the application to understand the patient's condition and adjust the treatment to the patient's rehabilitation for further improvement. This work is a practical product that can be used in real situations. Unlike students who only propose only concepts for products, they actually developed and applied their concepts to their achievement and effective goal. Prof. Kun Ouyang and the team members of Southern Taiwan University of Science and Technology said that Southern Taiwan University of Science and Technology has always encouraged teachers and students to participate in international competitions, and has become the best partner for industry-university cooperation. In recent years, it has competed various large-scale industry-university cooperation at home and abroad, with outstanding performances. 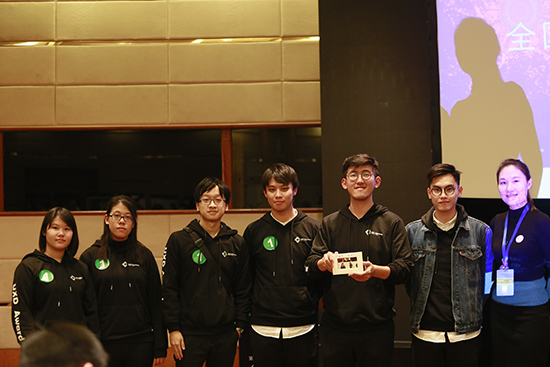 Thanks to the resources given by STUST and their college, the team could go to Shanghai to participate in the competition held by UXPA. They would also like to thank TGH Technology in Taiwan for its guidance and assistance. It was through such a cross-disciplinary cooperation that the work could be fully presented and would bring great news to the patients in need.